How Can You Price Your Short Sale to Close? Pricing a short sale correctly involves choreographing a delicate dance between bringing in an offer and getting the bank to buy into that offer. It's very similar to the way agents price any other home, with a twist to account for market conditions. 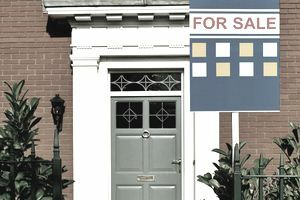 Short sale sellers who don't price their homes appropriately are unlikely to receive viable offers. That's because pricing needs to appeal to more than the buyer to ensure a short sale transaction will close. Moreover, if a Notice of Default has been filed, time is of the essence. In that instance, there are a limited number of days left on the calendar before the seller may lose the home to foreclosure. That's one of many reason it's important to hire an experienced short sale listing agent. The short sale bank. Because short sales can take a minimum of three months to close from listing inception, the price should be based on pending sales, which will become the comparable sales at closing. Banks will generally accept an offer priced within reason of comparable sales and will also hire an independent agent to assess value based on the surrounding homes. The buyer. Short sale buyers want to buy under-market; they want a good deal. Otherwise, buyers have little incentive to wait 90 days or more for a short sale to close. Sellers will catch a buyer's eye if the home is priced under the competition. But a lower price might not get accepted by the short sale bank since they generally don't accept lowball offers, regardless of what a buyer might hope. The buyer's agent. Short sales aren't high on the list of a buyer's agent's favorite transactions. Buyer's agents generally earn a lower commission on short sales; the deals take longer to close and sometimes they don't close at all. The listing verbiage needs to assure the buyer's agent it's worth the time invested. Additionally, the price still needs to be reasonable. Some buyer's agents who don't know any better will tell a buyer to jump on a lowball price, but those homes may not close. The buyer's lender. A buyer and seller can arrive at a mutually agreed price, but the buyer's lender will hire an appraiser to determine market value. This means the home will need to appraise in line with the comparable sales. Pricing too low is rarely a problem. But if it's priced too high, it won't appraise, and either the buyer will need to foot the difference in cash or the pending sale will blow up. If the appraisal comes in low, it will require a revised short sale approval letter from the bank, and not every bank will agree to lower the price to the new appraised value. The seller. Some types of short sales are subject to deficiency judgments and mortgage debt forgiveness taxes, which means sellers need to get the highest possible price. Attractive pricing will encourage multiple offers, which tend to bid up the price. Sellers who might have to pay taxes on the difference or face a monetary contribution care very much about the sales price. Appealing to all five of these entities may seem impossible to do because of the conflicting interests involved, but it's possible. There is an art to pricing a short sale. I can honestly report that many of my short sale listings in Sacramento — in our soft market — receive multiple offers because they are priced correctly.